The USA PAN Biscotti Pan allows home bakers to make authentic Italian biscotti cookies. This pan allows you to make one of a kind homemade treats for your friends and family and has an amazingly easy food release that makes for easy clean-up. The USA PAN Hearth Bread Pan provides home bakers with an easy way to bake large artisan bread loafs that are perfect for a family gathering. Try out your favorite 6 cup or 2-pound bread loaf recipes to make flawless artisan breads, apple breads, banana breads, and more. Our proprietary AMERICOAT® nonstick coating provides quick and effortless food release, flawless baked goods and easy clean-up. 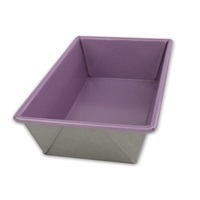 Loaf Pan - 1 1/2 lb. vol. The USA PAN 1.5 lb. 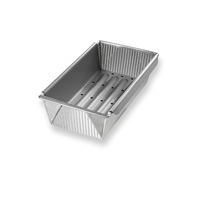 Loaf Pan provides home bakers with an easy way to bake the perfect quick bread, flawless pound cake, super moist cornbread, or classic meatloaf. Our proprietary AMERICOAT® nonstick coating provides quick and effortless food release, flawless baked goods and easy clean-up. 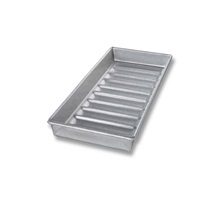 Loaf Pan - 1 1/4 lb. vol. 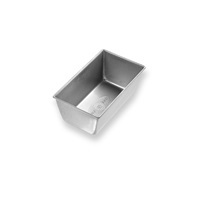 The perfect size for 1.25 pound loafs, the USA PAN 1.25 lb. 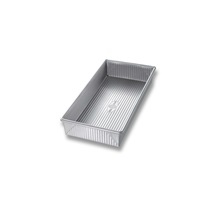 Loaf Pan provides home bakers with an easy way to bake the perfect quick bread, flawless pound cake, super moist cornbread, or classic meatloaf. Our proprietary AMERICOAT® nonstick coating provides quick and effortless food release, flawless baked goods and easy clean-up. 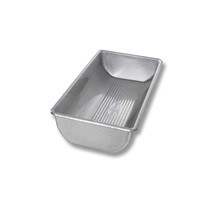 Loaf Pan - 1 lb. vol. Bake top quality artisan breads that come out finished with beautifully flaky crust with the USA PAN 1 lb. Loaf Pan. Our proprietary AMERICOAT® nonstick coating provides quick and effortless food release, flawless baked goods and easy clean-up. 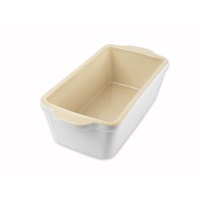 The USA PAN Meatloaf Pan with Insert makes cooking meatloaf a breeze with the easy removable insert. Your mouth-watering meatloaf will come out of the oven tender and ready to serve. Our proprietary AMERICOAT® nonstick coating provides quick and effortless food release, flawless baked goods and easy clean-up. 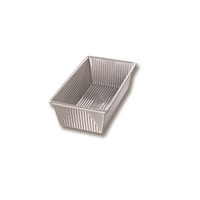 The 8-Well Mini Loaf Pan provides home bakers with an easy way to bake delicious mini cakes or mini-yeast breads. 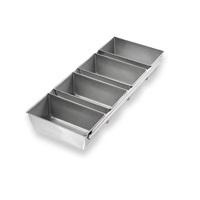 With 8 wells, you can bake perfect quick bread, flawless pound cake, super moist cornbread, or a classic mini meatloaf as miniature treats for friends or family. The USA Pan Set of 4 Mini Loaf Pans has 4 pans that provide home bakers with an easy way to bake delicious mini cakes or mini-yeast breads. With a set of 4 pans, you can use each individual pan to make a perfect quick bread, flawless pound cake, super moist cornbread, or a classic mini meatloaf. The USA PAN New England Hot Dog Pan provides home bakers with an easy way to bake delicious New England Style Hot Dog Rolls and homemade gluten-free bread. Our proprietary AMERICOAT® nonstick coating provides quick and effortless food release, flawless baked goods and easy clean-up. 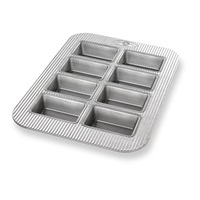 The USA PAN Strapped Set of 4 Mini Loaf Pan has individual pans that provides home bakers with an easy way to bake delicious mini cakes or mini-yeast breads.